Former prosecutor Andrew C. McCarthy offers a piece at National Review on the U.S. Justice Department and the FBI's investigation of Hillary Clinton's email. The latest shoe in the investigation of Hillary Clinton’s scandalous mishandling of classified information dropped heavily this week. 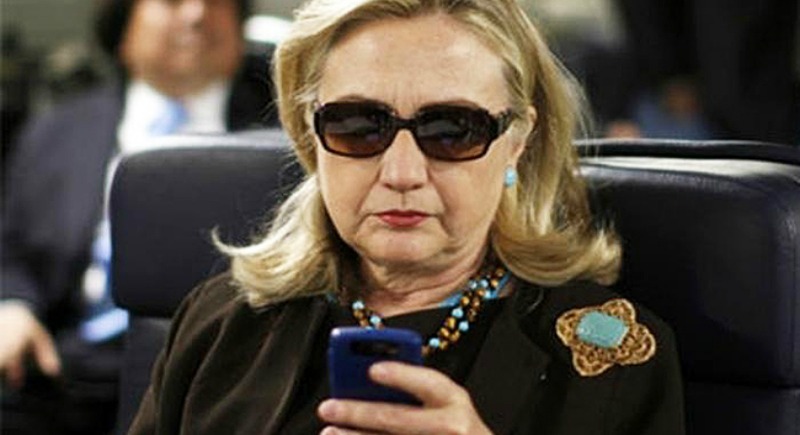 It had already been reported that, contrary to her denials, hundreds of secret intelligence communications were transmitted over the private, unsecured e-mail system on which the former secretary of state recklessly conducted government business. It is now clear that some of these contained “top secret/SAP” information. (SAP is “special access programs.”) This indicates defense secrets of the highest order, the compromise of which can destroy vital intelligence programs, get covert agents killed, and imperil national security. ... The FBI may not have a Justice Department prosecutor convening a grand jury, but it so happens that Director James Comey (whom I have known since we were pup prosecutors under Rudy Giuliani nearly 30 years ago) is a more accomplished government lawyer than anyone at the Justice Department. In fact, his own decorated DOJ career includes a term as deputy attorney general of the United States under President George W. Bush. Besides working under administrations of both parties, he has overseen prosecutions of both Republicans and Democrats. I’ve known no one in law enforcement more capable of navigating through a political maelstrom. Jim is tough, he is smart, and if there is a case to be made here, he will make it. And if he makes it, it will be bulletproof. Paul, I continue to follow "the case" with interest, remembering what would have happened to you or me if we had done anything similar to TS Cat3 material in the Navy (i.e., do the words "six, six, down, and out" sound familiar). I was a DoD investigative officer and dealt with much lesser cases of negligence and mishandling of classified information. Those offenders were banged. As for this email scandal, you, me and less politically privileged military people and federal civilians would have lost our clearances, been fired, and perhaps been jailed. Look at General Petraeus, for example. Yet, I suspect - or hope - that justice will prevail and Hillary Clinton will indeed be indicted.